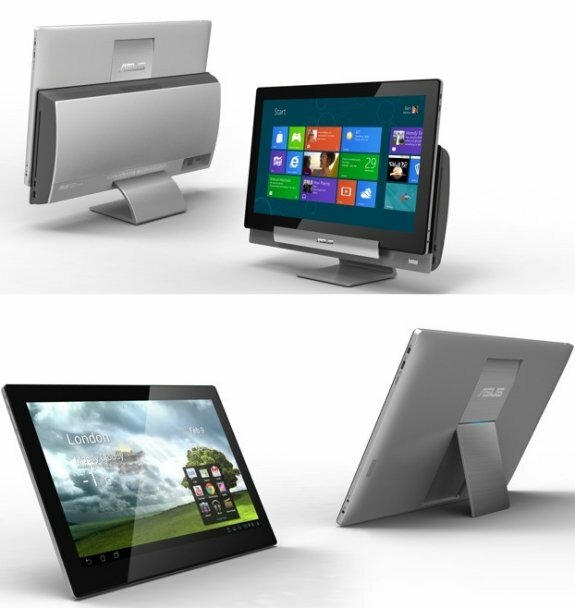 ASUS shows off the Transformer AiO at Computex, a new hybrid system that can be used either as a tablet or as an all-in-one desktop computer. The device has a 18.4" screen and features two operating systems; Windows 8 and ARM. Pricing and availability is unknown. Part tablet, part All-in-One PC, the Transformer AiO is an innovative device that can seamlessly switch between both, and features dual operating systems to give users the option of switching between Windows and Android to suit their needs. Engineered to work with Windows 8, the Transformer AiO features an extended 18.4" 10-point multi-touch LED-backlit display which can be easily removed from its base station to become a wireless display for the AiO PC, extending the range of the PC and allowing users to continue with their work anywhere in the home. The display can also be converted into an Android-based tablet for the home with the press of a button.